Just as architects are leaders in the construction field, Saval is a leader in fire safety. 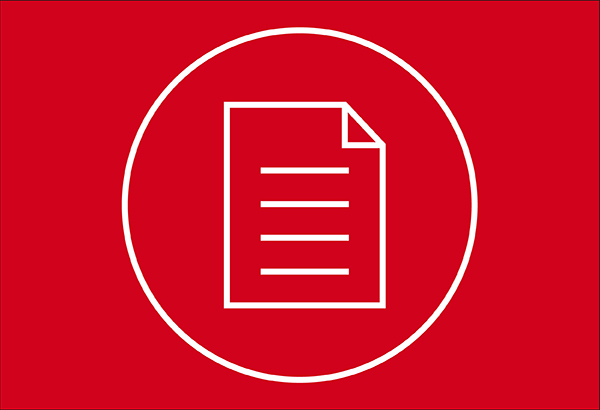 On this page, we make BIM information and 3D objects from our fire and evacuation safety range available free of charge to architects and installation firms. Download families for Revit® and ARCHICAD, or view our library on MEPcontent or BouwConnect. As a company that designs, manufactures and delivers innovative fire safety solutions, we challenge ourselves to move with the times. That also goes for Building Information Management, the new standard for the construction industry. On this page we offer BIM information and 3D objects of our assortment for free. 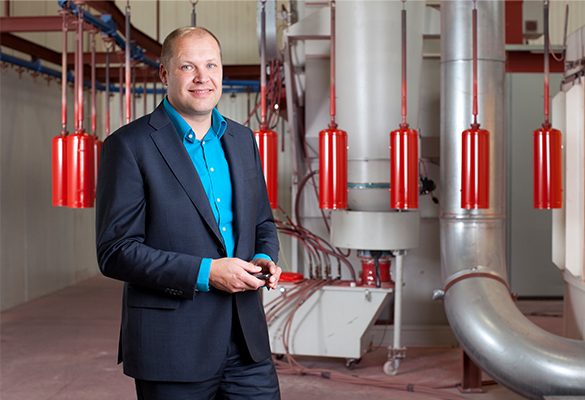 Just as trendsetting as architects are for building activities, Saval is for fire protection. 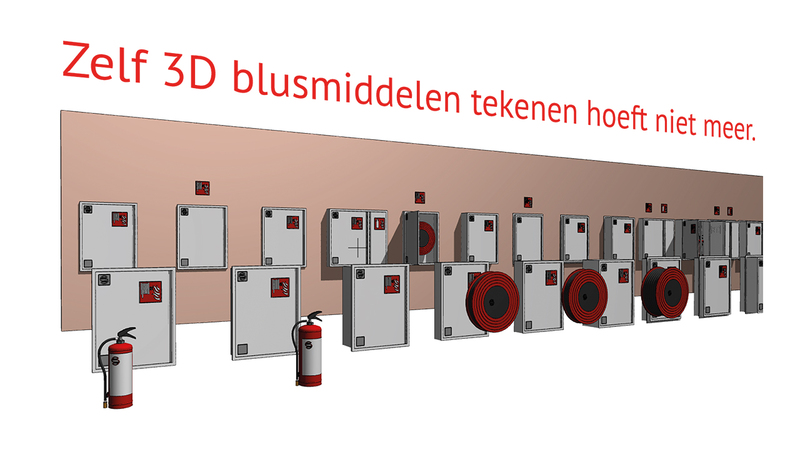 Saval Brandveiligheid Assistent™ automates and analyses the quantity and location of fire hose reels and extinguishers in Autodesk Revit®. Fully synchronised with the latest building designs, the associated floor plans and Saval products, the app automatically generates visualisations of the location and coverage of fire-fighting equipment. 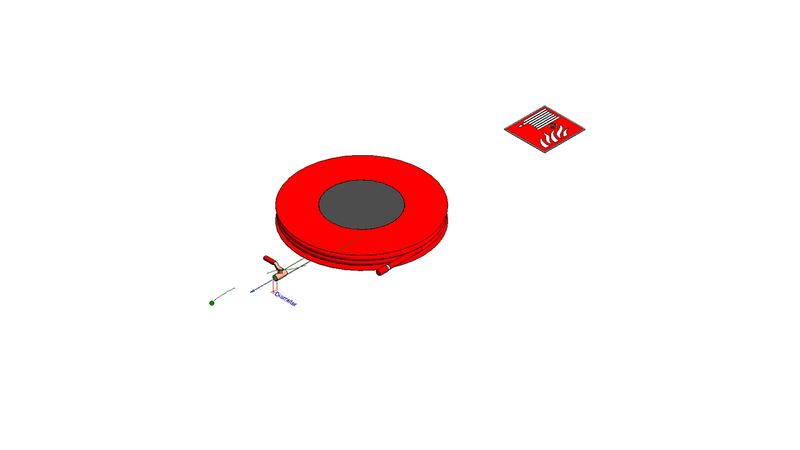 The 2D and 3D visualisations can easily be placed in a separate ‘Revit sheet’ or stored as images. That way, you can quickly and easily obtain information about the location and coverage of all fire-fighting equipment in the building. This creates certainty that the fire safety measures have been correctly implemented in accordance with the applicable standards. The up-to-date data makes it easy to consult with all stakeholders at any time in the design process. In the early stages of a building, you want to share as much detail as possible on fire safety, guaranteeing that our construction partners' model is as complete as possible. 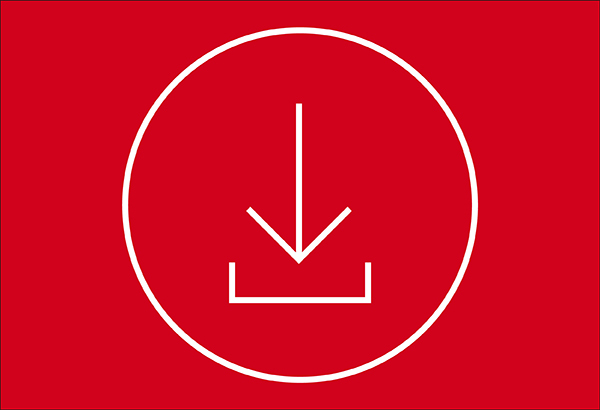 This link directly downloads the latest version of the plug-in. 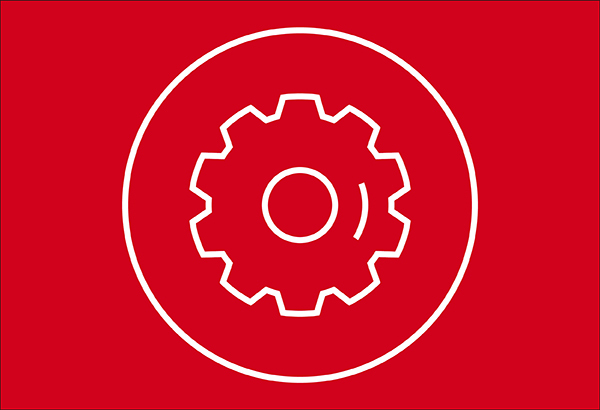 Click the red banner at the bottom of this page for installation and usage instructions. 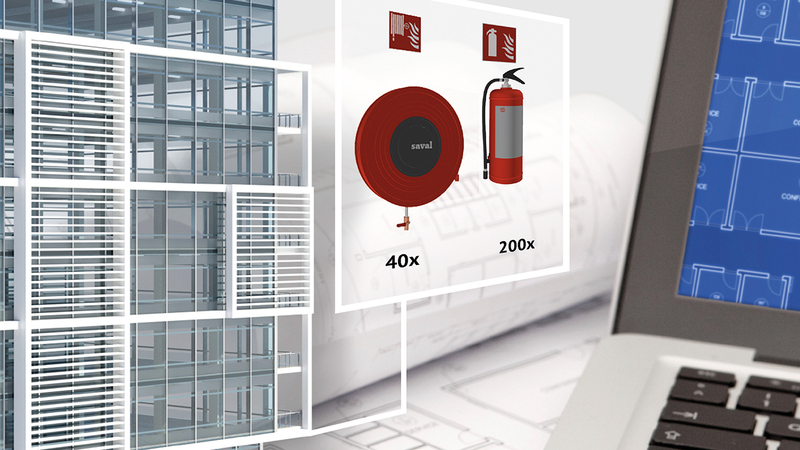 Download Revit® families of extinguishers, fire hose reels, reel cabinets, etc.